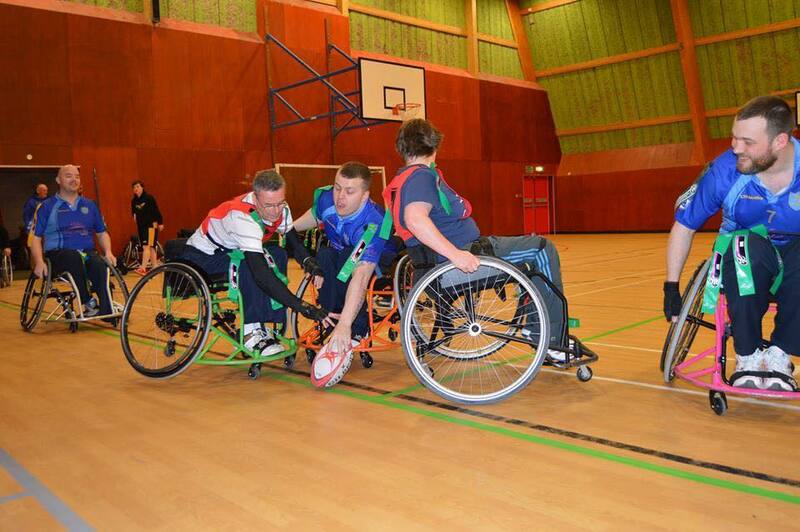 The sport is unique amongst wheelchair sports in that it is not a derivative but rather is faithful to the rules of the game with tries, conversions and all the other familiar aspects of the game which makes it instantly recognisable as the game of Rugby that we all love. * Five players in each team score tries in exactly the same way as able bodied Rugby. * Conversions are scored by punching the ball from a tee over mini Rugby posts. * Tackles are made as in Tag Rugby by taking the attached tag or flag from a player’s shirt. * Offside, knock-on and in touch applies as per the able bodied game. Our Chairperson Elizabeth Ferris was recently interviewed on BBC Radio 2’s Simon Mayo Show about WRL, you can listen to what she had to say here. To see for yourself just what the game is like, here is a clip from the 2013 Wheelchair Rugby League World Cup Final between France and England.